How reporter Jan Hoffman and the New York Times manage to insult female physicians and get their facts about anesthesia so wrong all at the same time. My husband and I, both anesthesiologists, enjoy our Sunday mornings together — coffee, the New York Times, a leisurely breakfast. No rush to arrive in the operating room before many people are even awake. Today, though, seeing reporter Jan Hoffman’s front-page article in the Times — “Staying Awake for Your Surgery?” — was enough to take the sparkle out of the sugar. Her article on how much better it is to be awake than asleep for surgery reminded me why I left a plum job as a reporter for The Wall Street Journal to go to medical school — because reporters have to do a quick, superficial job of covering complex issues. They aren’t experts, but seldom admit it. Physician anesthesiologists across the country are likely to face patients on Monday morning who wonder if they ought to be awake for their surgery. The answer to that question may well be “no”. But according to Ms. Hoffman, that answer reflects “physician paternalism”, and makes us opponents of the “patient autonomy movement”, because a patient should have the right to choose to be awake. Ms. Hoffman decided to stay awake for her knee arthroscopy, which is hardly front-page news. Many people, especially athletes, are fascinated to watch their own knee surgery. But the spinal anesthetic Ms. Hoffman enjoyed is still a type of major anesthesia, and it required anesthesia expertise for its safe insertion and her smooth recovery. Cardiac arrest may occur under spinal anesthesia, even in young and otherwise healthy patients, and every patient needs to understand that “awake” isn’t the same thing as risk-free. As recently as 20 years ago, most orthopedic surgeons wanted their patients asleep under general anesthesia for any major operation such as a total hip or knee replacement. It was physician anesthesiologists who gradually turned opinion in favor of regional anesthesia by developing spinal needles that reduced headache risk, and ultrasound-guided techniques that made nerve blocks safer, faster, and more reliable. The “patient autonomy movement” had nothing to do with it. Ms. Hoffman’s implication that anesthesiologists have been the followers rather than the leaders in regional anesthesia is especially insulting to the American Society of Regional Anesthesia and Pain Medicine (ASRA), founded in 1923. Obstetric anesthesiologists deserve credit for demonstrating that expert regional anesthesia — epidural and spinal anesthesia for cesarean section — plays a major role in today’s low rates of complications and death during childbirth. The Society for Obstetric Anesthesia and Perinatology (SOAP) is about to celebrate its 50th year of advocating for the health of pregnant patients and newborns, and for safe, awake childbirth. Dr. Virginia Apgar, lest we forget, was an anesthesiologist, first, and the inventor of the Apgar score, second. Today’s “minimally invasive” surgical techniques, such as laparoscopy, have made surgery possible for millions of patients with less pain, smaller incisions, and faster recovery. But here’s a fact that Ms. Hoffman may not appreciate: general anesthesia makes these techniques possible. General anesthesia with complete muscle relaxation is often a must for minimally invasive and “robotic” surgery performed with small cameras and other instruments inserted into the chest or abdomen. I often tell my residents never to use the word “paralysis” around patients because it might alarm them unnecessarily. “Say ‘muscle relaxation’ instead,” I advise. But the fact is that the patient’s muscles must be paralyzed under anesthesia for the surgeon to work on a motionless target. The patient’s breathing has to be precisely controlled, which means that the anesthesiologist must insert an endotracheal (breathing) tube and manage the settings on the ventilator to breathe for the patient until the operation is done. For some operations, the patient must be in a steep head-up or head-down position, with both arms snugly tucked at the sides, and must remain in that position for hours. After the patient is safely asleep under general anesthesia, we give “muscle relaxants” to block the ability to move, breathe, or cough. The actions of these medications are reversed at the end of surgery so that the patient starts to breathe again. Then we allow the patient to wake up. This is all part of the profession and specialty of anesthesiology. Like the making of sausage and political deals, we keep this part of the work quietly behind the scenes. I can’t imagine that any patient would want to be awake for it. Absolutely. It’s cheaper to have surgery without anesthesia. If I needed a small procedure that could be done in my doctor’s office under local anesthesia, of course that’s what I would choose. A good rule to live by is not to take any medication you don’t need, and that includes pain-killers, sedatives, and anesthesia medications. But Ms. Hoffman is misleading patients to make them think that they can opt to have a procedure without anesthesia as a “personal budget” choice. Even if a patient prefers local anesthesia or minimal sedation alone, the procedure might not be tolerable due to anxiety, pain, or the inability to lie still. That’s not always possible to predict. If the patient needs the option of converting to deep sedation or general anesthesia, then the services of the anesthesia department’s physicians and nurses will be involved and must be scheduled in advance. They aren’t free, any more than the services of your surgeons and operating room nurses are free. There isn’t a “bench” of anesthesiologists on stand-by just in case you need us. Either we see a patient in advance, perform a pre-anesthesia assessment, remain with the patient during the procedure, and supervise the recovery period — or we’re not involved at all, and will be busy taking care of patients elsewhere. That’s reality. As a specialist in thoracic anesthesia, I’ve had plenty of opportunity to reflect about the importance of my job. As I watch a surgeon do a delicate dissection to peel lung cancer away from a major artery in the chest, I sometimes think how one tiny patient movement or cough could lead to catastrophic bleeding. It’s my job to make sure that doesn’t happen, and to keep the patient’s oxygen level safe while only one lung is being ventilated. If I tell my patient in the morning that surgery has to be done under general anesthesia, I’m not being paternalistic. Nor does that decision depend on “the flexibility of the anesthesiologist”, as Ms. Hoffman would have it. Many operations — minor ones as well as major — can’t be done without general anesthesia. Ms. Hoffman did my future patients no service by suggesting that being awake for surgery is necessarily better. (Please visit the American Society of Anesthesiologists website for accurate information about anesthesia.) Her simplistic views may mislead patients to believe that a Google search and a quick read of the New York Times will equip them to choose the anesthesia flavor of the day off a menu. If you want to push back against “authority figures”, it would be better to take that energy elsewhere and let your anesthesiologist and your surgeon — many of whom today are women — do our work. Finally, I question the wisdom of allowing Esther Voynow, the patient featured in Ms. Hoffman’s story, to drive herself home after surgery on her right wrist. While she may have been perfectly awake, that isn’t the only skill involved in driving a car. If she had caused an accident, the surgeon and the hospital would have risked serious liability. The only good news about that questionable decision — there was no anesthesiologist involved. A version of this post appears as a Letter to the Editor in the New York Times. I would of liked to see my knee surgery, because it is so interesting but glad I was knocked out. I had a c-section and was awake but felt nothing but some pushing and pulling hard to describe. Thankfully was not an emergency. I think reporters all need to go back to school and relearn because they seem to be only in headlines and sensationalizing everything. I have so much respect for your job. As someone who has encountered medical issues with anesthesia. When I had my gall bladder removed it went to well I am ever so grateful for the care from the anesthesiologist. I had no post operative issues. Thank you…I am an anesthesiologist and have been in practice for 26 years. I was frustrated and a bit angry after reading the article this am. Couldn’t agree more with your comments in the last paragraph. I completely agree with you that this article is somewhat recklessly written and once again tries to oversimplify or sensationalize something they have cursory knowledge of. I’m a general surgeon and I find the vast majority of pts usually want to have little knowledge of what’s going on during a procedure fearing pain or discomfort much more than distrust that myself of the anesthesiologist will do something we shouldn’t. I find it terrible practice that the lady was allowed to drive herself home after wrist surgery. How unsafe. I’m disappointed the Times published an article like this! 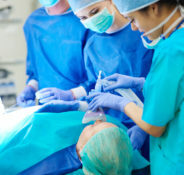 I used to tell my residents in anesthesiology that “The indication for general anesthesia is that regional anesthesia is contraindicated.” Although that frequently stimulated a chuckle, we were all aware that patient safety and providing a still, well-oxygenated surgical field trumped any personal preferences. So the patient received the best and safest care, and when there were options that the patient could safely choose, we offered them. In rarer instances, the patient came with a laundry list of procedures or drugs the patient would not allow to be given. We took a little time out to find out what was really bothering the patient, did some necessary patient education, and arrived at a mutually satisfactory plan. Then we proceeded to begin the anesthesia. It was not paternalism. This reporter’s lack of insight and empathy for her subject is not unusual – unfortunately. Here in Canada, we have enjoyed firearm competition and hunting since before Confederation in 1867. The press, and most media, consistently display a deep seated, superficial understanding of anything to do with firearm ownership. Same asinine attitudes and arrogance, just different labels. I am disappointed in the new York Times, of all major media I would have thought they would be able to provide a balanced, well researched article on a complex subject – I guess not. I have only one comment….even the venerable NYT says some pretty stupid things on occasion (perhaps even more often)!!! How could that journalist be so stupid??? Thank you I found your response informative and feel more confident as I make plans for my own surgery. Operating on a patient who is fidgeting or participating in nervous idle chatter is a major obstacle to a safe surgery. This shallow article is meant to draw your eyes to the “click bait” headline and to sensationalize a very unique and individual medical decision. Typical NY Times headline- the newspaper who predicted that HRC would win the Election with a 96% certainty. Great response! I was disappointed by Hoffman’s meager attempt to quote a substantial opinion by an anesthesiologist. Instead, I came away from the article feeling like anesthesiologists are a cost to be cut, and a profession that has to be talked into considering anything other than general anesthesia. I also am an anesthesiologist in practice since 1982, so have seen a good many things change and develop. While I agree with most of what Carol writes, I have seen and heard about many anesthesiologists who ARE paternalistic and insulting to patients and their desire and wishes. I am a semi-expert on mast cell activation syndrome and often am asked to develop a preop and intraop plan for patients having surgery. On several occasions I have seen the patients after surgery where my own colleagues disregarded my expert opinion and the patient’s fervent wishes – and put the patient into a massive degranulation episode. So we have much to be proud of, but some of our colleagues should be chided about their demand for autonomy, for their ego-centric need to do what they want and not what the patient wants. I had a colleague at one time (1980s) who refused to give his own wife an epidural for labor, as then all laboring women at his hospital would want it and he and his team would have to cover OB call (at my hospital at the same time we WERE offering OB epidurals). Not so long ago – physician centric, not patient centered. As always, the truth usually lies between 2 strong views. medical care one of the prevailing issues. post trauma from “watching to watch”. Thankful to have missed Ms. Hoffman’s article and certainly agree with your delightful rant. I did have my total knee done under epidural anesthesia without sedation; had a nice quiet chat with the Anesthetist at the head…I had helped train her 20 years before…and had my cataract replaced with an IOL under topical without sedation as well. I was told I could not drive after surgery, but as the Chief of the Outpatient Anesthesia department had done, I said that I never had an IV and could see better post op than pre-op. Needless to add: I had my endoscopic appy under general. Aware of how I wanted to proceed with procedure and anesthesia. This was not a cost issue I would have the same copay whether I had anesthesia or not. I was not given nor did I take any medications prior during or after the procedure. It was a minor procedure. I was perfectly fine to drive home. Using a local for a very minor procedure was ok and my choice for a minor procedure. If I was to have more complicated surgery I would not have just a local and any doctor who would recommend it should not be doing surgery. This was the right decision for me, this maybe not be true for others. I was given a choice if I wanted Mac or a block. I also have had severe vomiting after general anesthesia.